One of the most popular and leading sports website, Sportskeeda has launched it’s Android app in the beta stage few days back and It’s super amazing in comparison to other sports apps available. Today we will be reviewing the Sportskeeda android app and see how it has attracted a lot of users already. 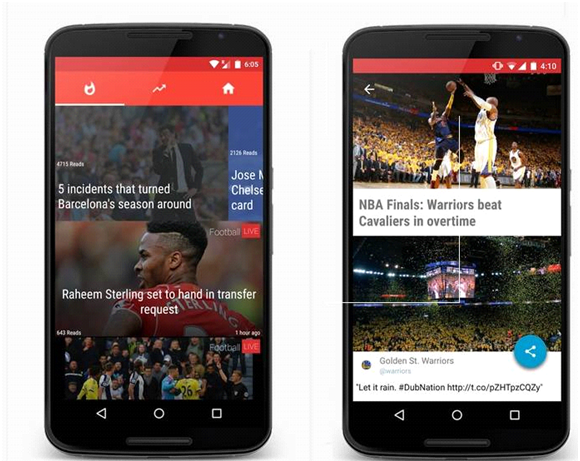 Sportskeeda has news from over the world for over 40 sports which is a long list and it has been built for Android devices which have Android 4.0.3+ installed on their devices. The Sportskeeda android app is built using the material design so it has a great UI and easy to navigate options. After installing the Sportskeeda application, it will give you a quick guide through the different tabs like the ‘See what’s hot’ tab which shows you the buzzing news about different sports, the ‘See what’s live’ tab which will show you the latest scores of the matches pertaining to different sports, ‘See what’s popular’ tab will tell you the most popular stuff going on in the sports you have chosen and the ‘See stuff across sports’ allows you to customize for which sports you want the news to be updates on the Sportskeeda app. 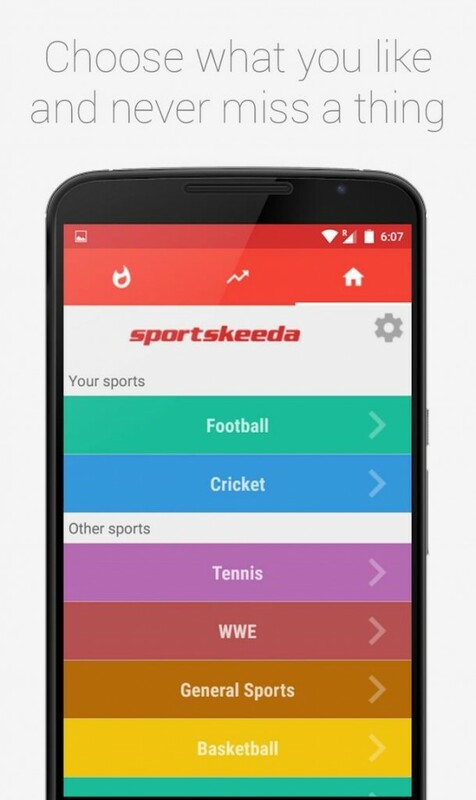 What’s So Special About Sportskeeda Android App? While there are hundreds of sports applications like Cricinfo, Cricbuzz, Star Sports and others, many of you might be wondering why Sportskeeda? Well, Sportskeeda allows customizations which no other app provides. You can check latest news, scores and updates about the sports you like while you’re surfing the application. They have a huge catalog of over 40 sports plus the UI is extremely clean and don’t have complicated and long menus for customization. Just open the Sportskeeda app, tap on your favorite sports and you will see all the latest news. Talking about the data usage, the Sportskeeda app won’t be causing any problems. In fact, it’s a great deal better than the other apps. It has a download size of 4.4 MB and it appears to be well-optimized. The live-stream data usage is negligible. It’s lightning quick and takes no time at all to switch between tabs and content which, by the way, can be easily shared to Twitter, Facebook, Whatsapp as well as any other social apps you might want to share on. Why SportsKeeda App Stands Out? Design – Material UI is totally beautiful and the app looks great with a clean and simple UI, it has just three tabs one for news, one for everything trending in real time and the last one for making changes to your preferences. Features – Best customization options to choose the sports you want the news for and perfect place to check live updates with leaderboards, point tables and live scores which will be added soon as the app is still in the beta stage. Data Usage & Social Sharing – Sportskeeda app’s homepage consumes a staggering ~95% less data than any conventional WAP page, and reading an article consumes ~98% less data. This has mainly got to do with the architecture of the app, and the general advantages which come with lightweight objects in data transfer. Also with one click you can share the news to all the major social sites like Facebook, Whatsapp, Twitter and much more. So this was all about the Sportskeeda Android app. In less than a month, this beta app has crossed a thousand downloads and has a rating of 4.5 stars. We hope to see some great additions to the final build of this application and as a sports lover, I can’t wait to check it out as soon as possible. A thumbs up to the Sportskeeda team for this amazing application for the smartphones.